The Stage David Hare’s The Moderate Soprano is to transfer to the West End. David Hare’s The Moderate Soprano is to transfer to the West End. Jeremy Herrin’s production will run at the Duke of York’s Theatre from April 5 to June 30. The play premiered at London’s Hampstead Theatre in 2015. 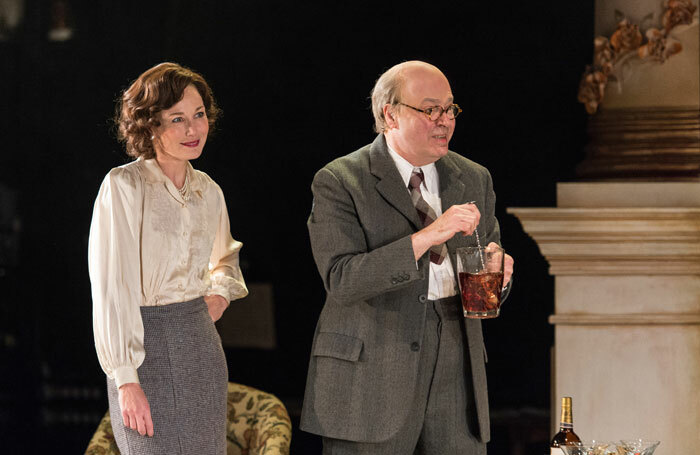 Roger Allam and Nancy Carroll are to reprise their roles as Glyndebourne opera house founder John Christie and his wife Audrey Mildmay, with further casting to be announced. Set and costume design will be by Bob Crowley. Hare said: “Few people know the extraordinary story of how an eccentric English schoolmaster bumped accidentally into three refugees from Hitler’s Germany, and formed one of the world’s great opera houses in the 1930s in the middle of the English countryside.